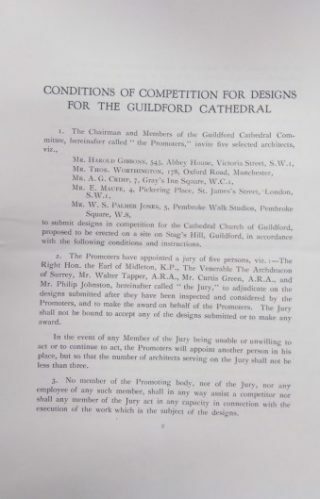 Once the decision had been made to construct the cathedral there was then the task of appointing an architect with the appropriate vision of how the Cathedral should look. 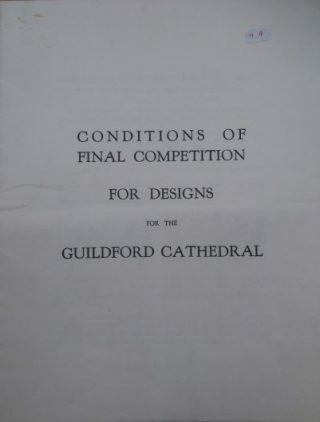 This unique item from the archives demonstrates a glimpse into the process of building a Cathedral in 1932. The competition was for a select group of five architects consisting of: Harold Gibbons, Thos. Worthington, A.G. Crimp, Edward Maufe and W.S. Palmer Jones. 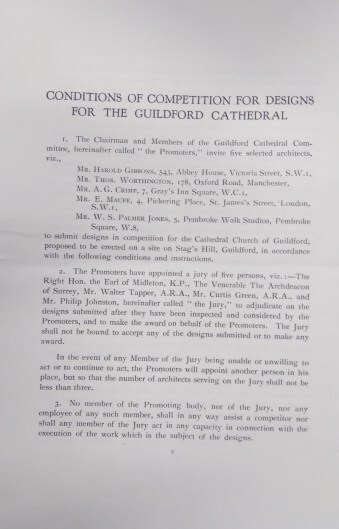 The specifications that were laid out on the competition rules stated that the Cathedral should consist of a Nave and all necessary aisles and porches. The seating should accommodate 1200-1500 persons, each of whom must have an uninterrupted view of the High Altar. There was to be Chapel or Chapels either on the same level with the Nave or on a lower level, alongside all the necessary Vestries. The total length of the Cathedral was not to exceed 450 feet and no part should exceed the width of the site. Within one month after the winning entry was selected or if no entry is selected each of the five competitors were to be paid a fee of 500 gunieas, even if they were not selected as the winning entry. Those with the onerous task of selecting the winning design was a jury consisting of Right Hon. The Earl of Midleton, The Venerable Archdeacon of Surrey, Mr Walter Tapper, Mr Curtis Green and Mr Philip Johnston. 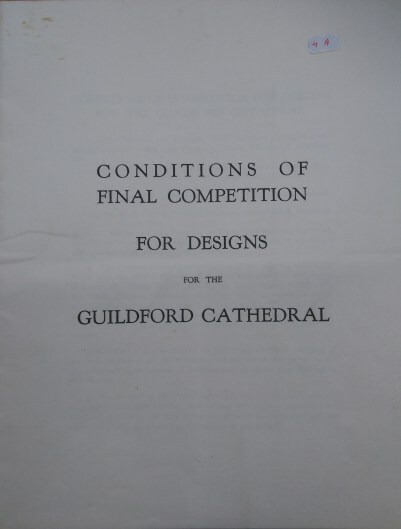 Ultimately the winning entry was the entry by Edward Maufe, who designed the Cathedral we have today.